You’d be hard-pressed to find a woman who wouldn’t jump at the chance to get dressed by the same wardrobe stylist who dresses Beyonce. Hell, it’d be difficult to find someone of any gender who would pass up such an opportunity. So when I received an email inviting me to get styled by none other than celebrity stylist Zerina Akers, I was immediately over the moon. While I would never presume to approach Beyonce’s level of sartorial transcendence, I was hoping this styling session would help me know which of my Rainbow pieces work best for color-blocking, how to pick cuts that complement my figure, and really, any of the tips and tricks that have helped Beyoncé achieve her ascendancy. 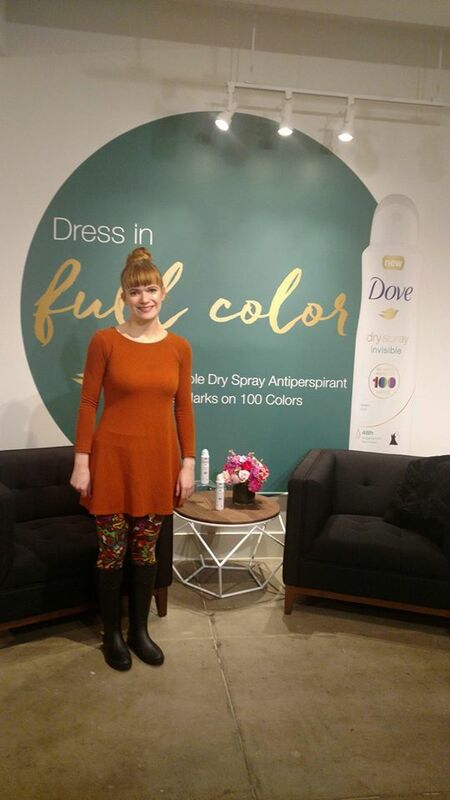 The styling session was hosted in Manhattan by Dove and the trend forecasting website Fashion Snoops, both of which partnered with Zerina to give an expert take on the trending colors of 2018. 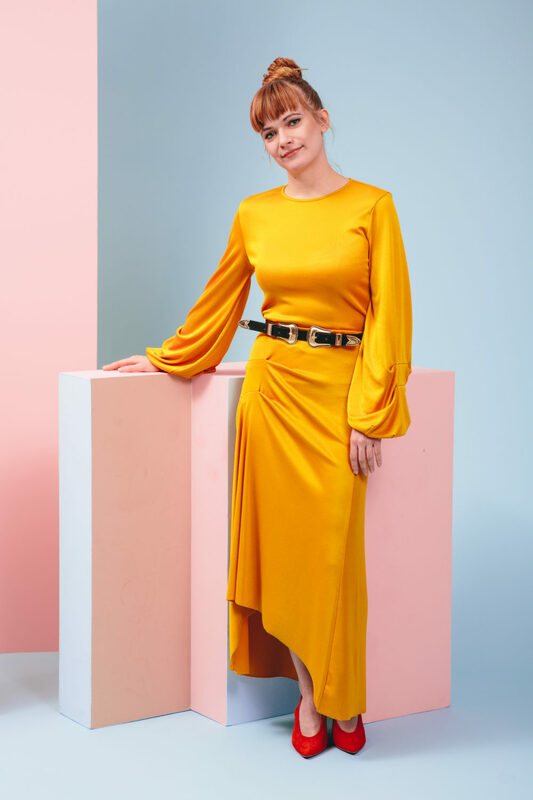 Before receiving my personal styling session, I sat down with the trend forecasting expert and president of Fashion Snoops, Lilly Berelovich, to discuss this year’s 12 hottest shades. As Lilly explained to me, Fashion Snoops functions as an online service to help guide shoppers who want to explore new colors and trends but aren’t sure how to color-block bold colors with each other. Each time you click on one of the season’s colors, you are led to a page that shows you how to wear and pair that shade. Plus, the diverse line-up of models can help you determine which hues match with your skin tone and hair color. 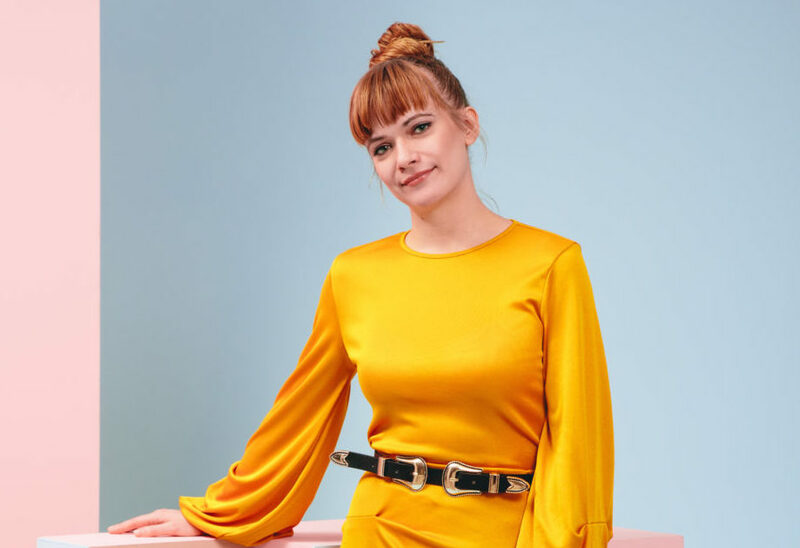 Before I arrived at my styling session, I answered a few questions over email about my sizing, as well as my favorite clothing brands (I listed Zara, Black Milk Clothing, and H&M). So during my sit down with Lilly, she encouraged me to pick one or two of the trending colors for my outfit with Zerina. For 2018, there are 12 lovely trending colors: Flirt ( a hot pink), Power Red, Marigold Yellow, a baby Blue Bell, Lilac, Sand, Rose Petal, Terracotta, Moss, Blush, Violet, and Azure. Little beknownst to me, there was already a whole rack of clothes in my size spanning these colors (A TRUE DREAM). After some deliberation, I decided I wanted to go for Marigold Yellow. Lilly and I both determined that Terracota, Sand, and Power Red would wash me out (I am very pale), while Lilac and Blue Bell, and Violet are all colors I already feel comfortable wearing. As a lover of green, Moss won a close second, but I wanted to leave this session feeling like I took a risk, so Marigold it was. Normally, I can’t pull off yellow because it makes me look sickly, but Lilly assured me this warmer shade would complement my red(dish) hair. Before I fully gush about meeting Zerina, here’s a shot of the outfit I wore to the session. A few notes before we continue. I did NOT realize you could see the line of my stretch-pants through this dress, which I feel like further illuminates the “before” effect. I wore bright colors to the styling session in an effort to pump myself up for a true ~lewk~ experience. However, there was a snow storm the day of this appointment so I am absolutely 100% wearing rubber boots from Rainbow in this shot. Also, I hate this particular lighting, but again, it lends to the sense of transformation. Can we slow down and just appreciate how cute Zerina is for a minute?! After getting the initial low-down and picking my top colors — Marigold for first place and Moss for second — I was introduced to Akers. She was extremely warm and poised, and led me over to a rack full of colorful clothes with my name on it. It took mere seconds for Zerina to pull out a gorgeous Marigold two-piece from Zara. The long-sleeve top had billowy bell-like sleeves, and the skirt was nearly floor-length. 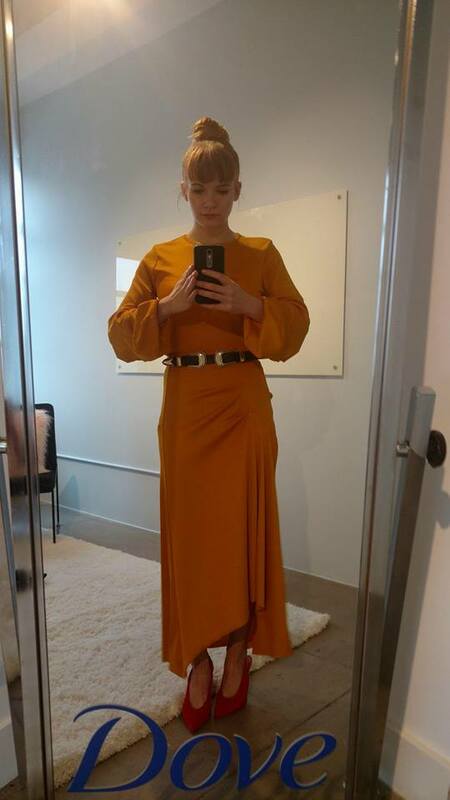 While I loved the color and texture, I was intimidated by the lines because I normally don’t wear floor-length dresses or skirts. I’m 5’4, which isn’t incredibly short, but I’ve found that (normally) long skirts make me look shorter or disproportionate. Being the ultimate expert on shape and style, Zerina said the elongated lines would flatter my high-neck hair style. On top of that, she was already prepared with two pairs of heels for me to try — one in black, and one in red. According to Zerina, the right style of shoes can transform and enable any look. I was shocked by how well the outfit fit. 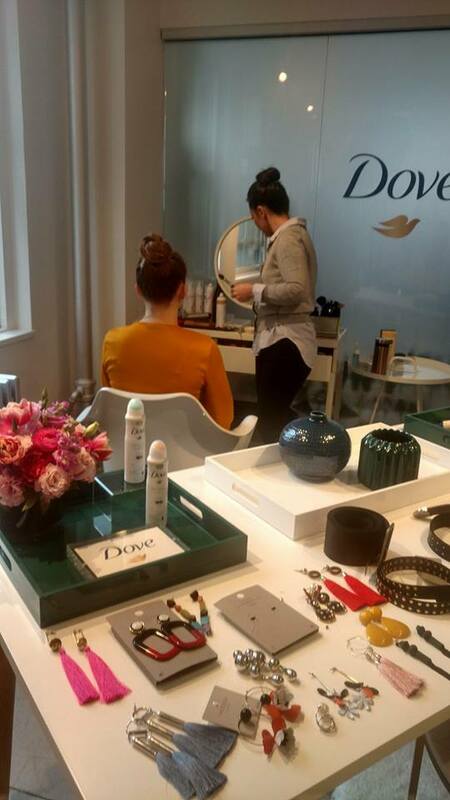 This shot is (obviously) me being a creep in the dressing room before giving my big reveal to Zerina and the Dove team. As you can see, she also belted the two-piece with a symmetrical double-buckled belt that I think added structure to the look. In what was possibly the most painless styling scenario possible, both Zerina and I loved this outfit immediately. While refastening the belt and making sure all my lines matched, Zerina dished her love for Dove’s Invisible Dry Spray Antiperspirant Deodorant. Since it leaves no white residue, it’s an ideal option for people regularly wearing bold colors. I’ve been using some ever since my session, and have now been converted to the cult of invisible spray. Once fully dressed, I was delightfully pampered by a hair and makeup woman who touched me up. Since I already had my hair in a top-knot, she opted to stay with that style but clean and tighten it up (which she did with lightning speed). She also completely saved my attempt at liquid eyeliner, which had been decimated by the snowy wind. Of course, before getting my official Dove photoshoot, I was powdered in plentiful blush and highlighter. After being thoroughly pampered, I was sent to get my pictures professionally taken by the Dove team. While I respect the craft of modeling, I am not by trade a model of any sort, so the photographer had to tell me how to move my arms MANY times. As you can see, the background colors are the 2018 colors Rose Petal and Blue Bell. Naturally, I used the opportunity to mine a lot of attention on Instagram. Because the day involved a lot of bookings and Zerina is high in demand (I mean, she styles BEYONCÉ), my photoshoot marked the end of my session. Much to my delight, Dove gifted me the Zara two-piece as a keepsake, as well as some of the Dove Invisible Dry Spray Antiperspirant. Aside from getting a handwritten letter from Beyoncé herself, this was undoubtedly the best way to start my day. I now have this fire outfit to wear to the right occasion, but more importantly, I’ve learned a few key tips for future dressing endeavors. For one, long lines can work on shorter women if we pick the right shoes (and the right color, for that matter). Secondly, if you truly dive into the hue options, it’s likely you’ll find a flattering version of any color. Most yellows completely wash me out, but Marigold worked because it’s just warm enough to complement my current hair. Also, the shape of your hair styling can be a determining factor when it comes to what outfits look good. Based on my short conversation with Zerina, I have no doubt that if I’d worn my hair down we would have settled on a completely different look! As corny as it sounds, the biggest takeaway I’ll savor from this professional styling was how important it is to approach fashion from a place of playful expressiveness. It’s way too easy to get caught up in what we can’t wear and lose sight of all the color combinations, patterns and styles that are truly delightful. I’m going to resolve to take the leap with even more “risky” outfits. I hope some of you will join me as well.